Jarun Cup 2016 summary. See you next year! 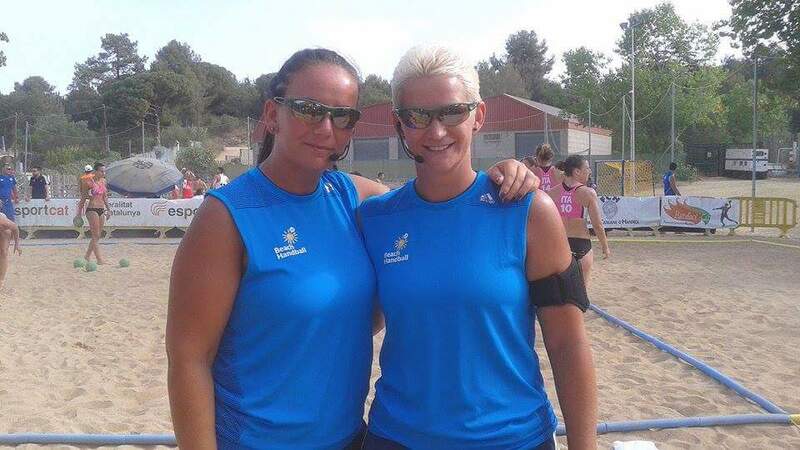 The 9th edition of Jarun Cup – the biggest Croatian beach handball tournament, which was already organized 8 times at the banks of Jarun lake (1st edition took place in the Bundek park) is over. On three courts teams from 7 countries – Croatia, Hungary, Poland, Italy, the Netherlands, Serbia and Switzerland, competed for the title of the Jarun Cup Champion and the points for EBT ranking. CONGRATULATIONS TO ALL THE TEAMS AND WINNERS! After first day, in spite of the weather conditions, we could say that the beach handball spirit won and all games were played. Below you may find the results after the first day, and also-you may find the schedule which is slightly modificated. 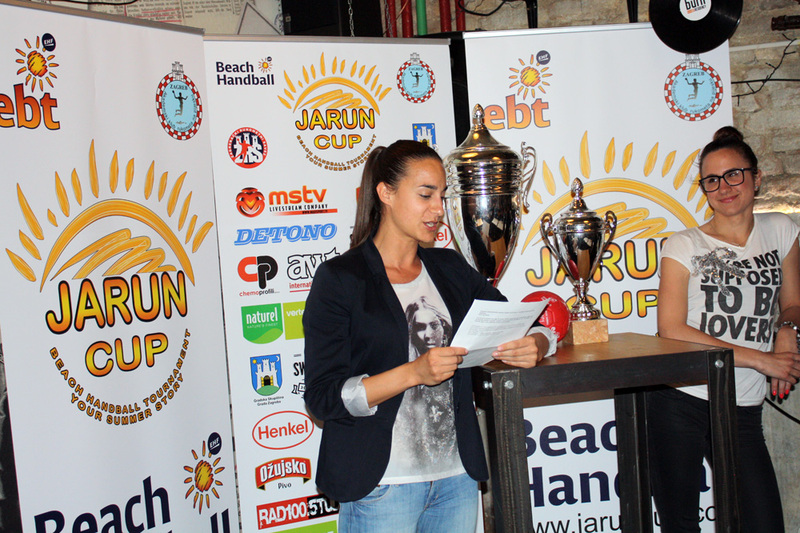 As you alread know, tomorrow will start the ninth edition of EBT Tournament Jarun cup. On behalf of the Organizational Commitee I apologize that we published it so late- the reason why it was late published are pretty tough team demands caused by indoor handball matches. . See you soon. Two days ago the public group draw of Jarun Cup 2016 was held. In Beach bar next to the courts where through 4 days 71 teams from Croatia, Switzerland, Poland, Serbia, Hungary, Italia and the Netherlands will compete, the group draw for 3 age categories - 2000, 1998 and seniors (men and women) took place. Thanks to technical partner: Cargo Partner d.o.o. We have already mentioned that organizing the tournament is very big effort also when speaking about the technical issues. We wouldn’t be able to cope with every technical manners just on our own, so on behalf of whole Organizational Committee Jarun Cup 2016 we would like to thank our technical partner: Cargo Partner d.o.o., the company that helps us in logistics and transport. Once again thank you veeery much for your help. As you already know, this year we have catering offer for all tournament participants. It wouldn't be possible without help from one of our partners: Day and Night Hostel. We are not the only one who celebrates round anniversary in 2016 – this year Radio Student has its 20th birthday. (Beach bar - next to the beach handball courts). We hope that the majority of the team delegates will be present. Eventhough- If you are not in Zagreb at that moment, we will try to ensure the livestream of public group draw. Additional info should be visible on official web site soon. We couldn’t imagine Jarun Cup 2016 without live stream and good music. That is why we would like to introduce our this year’s partners: Agatin.TV and Enter Radio. Thanks to the donors: Velebit osiguranje d.d. Our another donor is Velebit Osiguranje d.d. Another donor on board! Give a warm welcome to Zagrebačka pivovara – one of the oldest brewery in Croatia decided again to be the part of our summer story. Thanks to the donators: Kraš, Food Industry d.d. Can anyone live without sweets? We can’t. Don’t you eat some sweets even once for a while? We do, even more than once :3 That’s why we’re happy to have Kraš company among our donators! Thanks to donors: EHF and Geo-ing Ltd.
No tournament can be organized without necessary equipment. Jarun Cup 2016 will be held on three courts in the same time, which requires from us big organisational effort especially in the technical field. The organization of Jarun cup 2016 is again this year supported by company AWT International Ltd.
Below we bring the interview with the official referees of the ninth edition of the Jarun cup. Girls, welcome once again. 1. Hi girls! Please introduces yourselves and tell us something about yourselves. I: Irena Anđušić, 31. 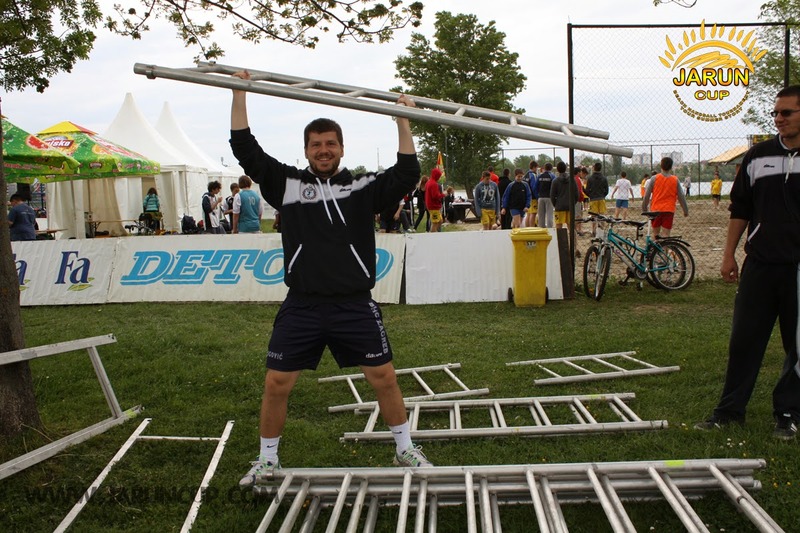 Master professor of physical education, certified handball trainer, living and working in Novi Sad. 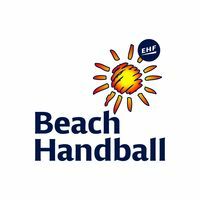 I am a referee at the premiere league of handball in Serbia and EHF beach handball referee. I also run my own restaurant which you will hopefully visit when you come to Serbia :) . A: Anja Pantić, 27, living and working in Novi Sad. My carrier is similar to Irena's, apart from working at the City handball union and the Handball union of Vojvodina. Below you may find the list of the registered teams so far. Please note that only few spots left, so please register the team as soon as possible if you want to be part of our Summer story this year. Tournament mascot has been finally named !!! So far, members of the Organizing Committee are happy with the fact that Jarun cup is published as first outdoor tournament in the new season. So, become a part of our Summer story and start with beach handball playing at the end of April. See you. Last year tournament was completely successful with 62 teams in total in all categories. 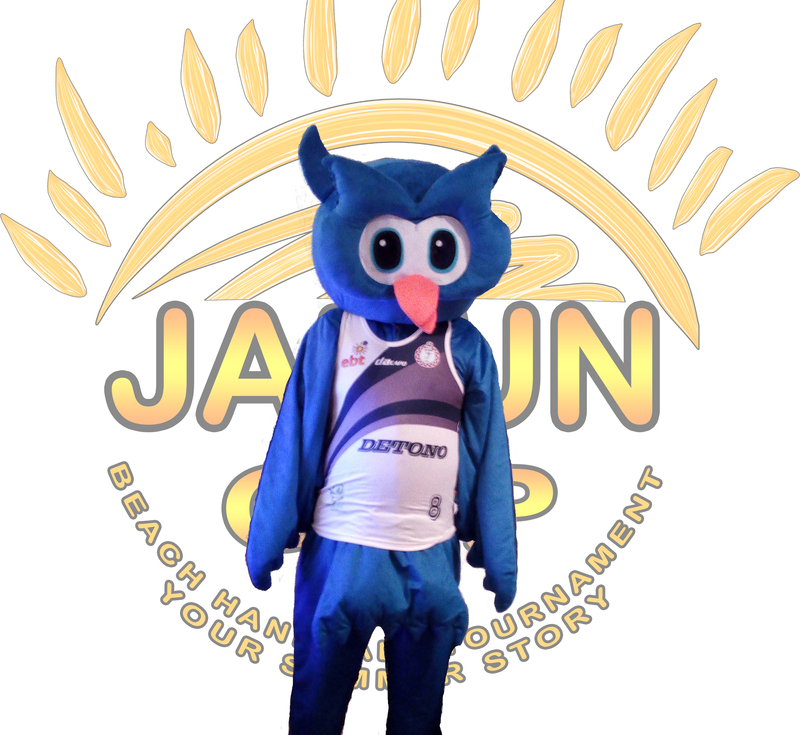 This year it appears that more teams showed interest to come to Jarun cup, so we hope that number of the registered teams will be even bigger comparing to previous edition. Official invitation could be seen HERE. We hope that you will become part of our Summer story.